The spice of life is variety, and that’s especially true in the world of colour. Stampin’ Up! 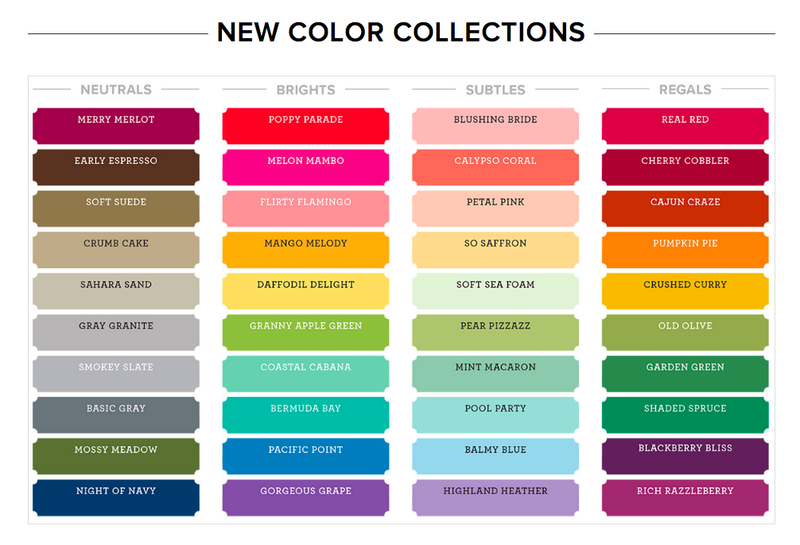 makes a point to keep an eye on colour trends across different markets and industries. Stampin' Up! have reviewed their colour spectrum to ensure that they remain consistently on top of the trends. 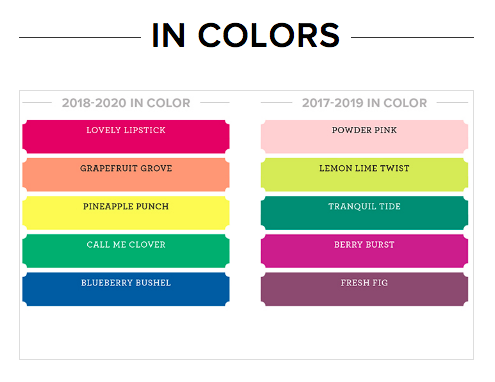 Ladies and Gentlemen, the 2018 Colour Revamp! The collections are having a makeover, so what's happening? There are still four colour collections, each with ten colours. 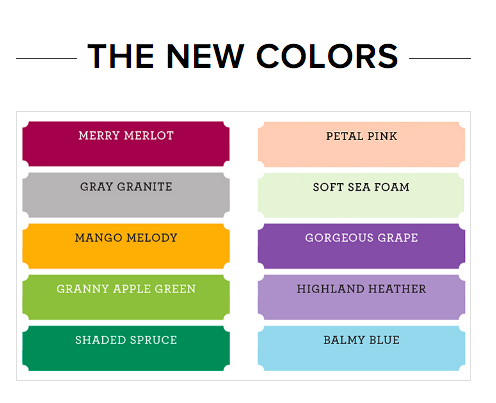 There is also a new colour group called Basics. 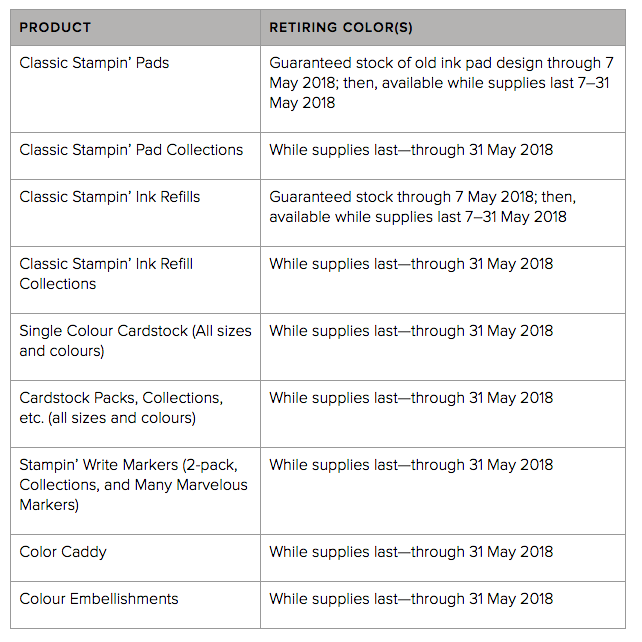 In order to keep the colour collections to exclusive Stampin’ Up! colours, Basic Black, Very Vanilla, and Whisper White have been moved out of the Neutrals collection and a few colours have been moved into the Neutrals collection, making it more exciting and colourful! Some additional colours have changed collections as well—you’ll notice this as you look through the new collections below. For example, Poppy Parade is now the brightest red so it is part of the Brights collection. 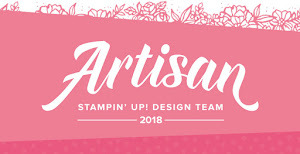 In addition to new colours, Stampin' Up! have also redesigned their ink pads. The case is a new, more intuitive design and the formula of the ink has improved, as well! We think you will love these changes!! *Please note that while Flirty Flamingo is retiring as an In Color, it will continue to be available as part of the core colour collection. Stampin' Up! have worked with their vendors to ensure that there will be a period of guaranteed stock before the retirement date. 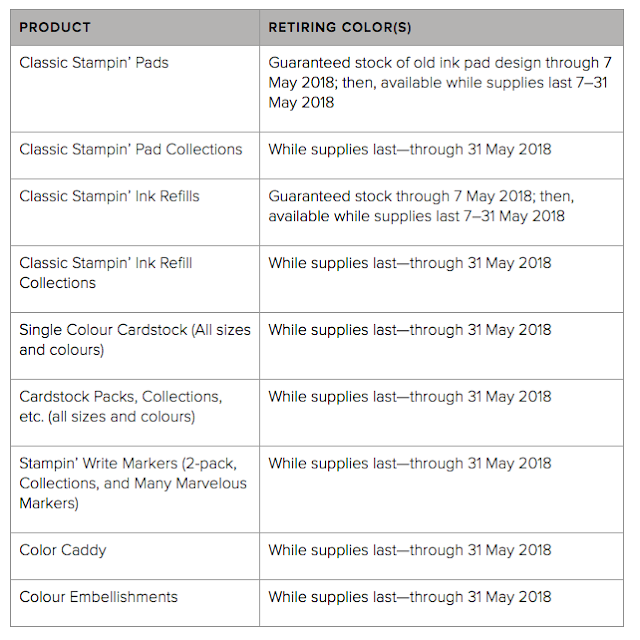 This means that even if an ink pad/refill goes on backorder during that guaranteed time, those orders will be fulfilled. However, after that guarantee date has passed, those products in retiring colours are available while supplies last. Please see the chart below that details this. It also shows how other products with retiring colours will be handled. With all these changes it can get a little confusing, hopefully it's a little clearer now. Of course if you have any questions then please contact me.